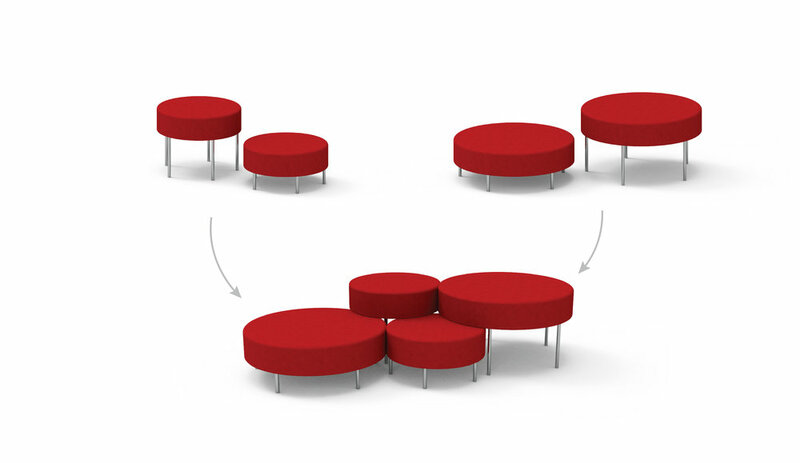 Designed specifically for public spaces, the Red Cloud seating modules are four components, two diameters and two different heights for each, that can be partially overlapped to form playful cloud formations. From small compositions for tight waiting areas, to large arrangements for public spaces; the possible combinations are virtually infinite. Materials: Wood frame, urethane foam, fabric, chrome plated steel. High and low seating can be combined into formations. Seating arrangements can be shaped to suit the dedicated space.